Hepatitis C virus (HCV) primarily causes inflammation to the liver, but sometimes the virus can also cause health problems that affect other parts of the body. When this happens, it is known as extrahepatic disease. Extrahepatic symptoms of hepatitis C infection can result in arthritis (joint inflammation), muscle pain and weakness, and vascular (blood vessel) problems. Arthralgia is a pain in a joint, which is the point where bones meet each other. Arthritis is inflammation of a joint that will sometimes include swelling, redness, and pain. 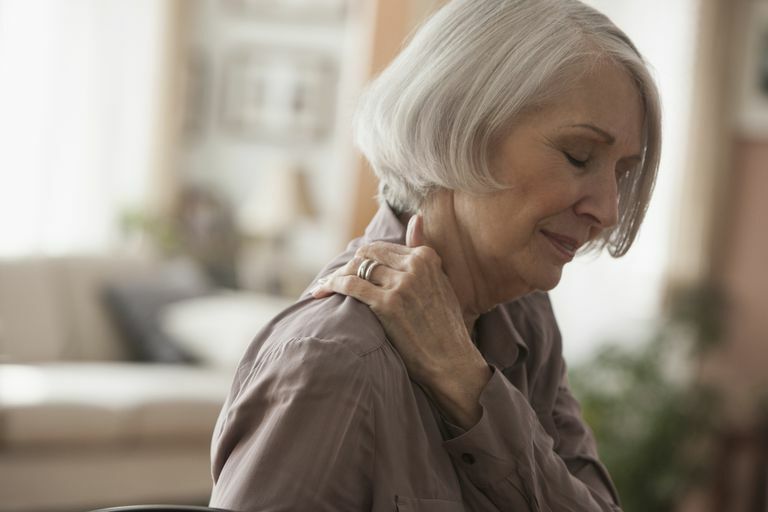 It is common for patients with HCV to experience related rheumatic conditions such as pain in the joints, muscles and connective tissue. In fact, often a pain in the joints and muscles along with fatigue are among the first symptoms of the disease. Joint pain is a common symptom of acute hepatitis (when symptoms are present) and chronic hepatitis. It's also a common side-effect of hepatitis medications such as peginterferon and ribavirin. Some studies suggest that nearly one-third of people with hepatitis C will have arthritis. Rheumatic complications of HCV happen as a result of the body's immune system fighting the virus. In patients with HCV, because the virus is continually multiplying, the immune system is continually fighting the virus, resulting in system-wide inflammation and the joint and muscle complications of HCV. In fact, underlying infections are often a cause of joint pain—even those that don't specifically target joints and bones (such as hepatitis which targets liver cells). When people complain of joint pain with no obvious cause, doctors will sometimes look for undiagnosed infections, among other possibilities. Managing HCV-related joint pain can be a double-edged sword. Some of these drugs can have their own toxic effects on the liver or can worsen the viral infection. HCV-related joint problems can cause severe discomfort and make it difficult to perform daily activities. To help manage the condition, it is important to see a rheumatologist and to ensure there is good communication between the doctor managing your liver disease and the doctors managing your extrahepatic symptoms. In other words, patients should receive care from a multidisciplinary team of doctors who can work together to find the best treatments with the lowest risks. Anti-tumor necrosis factor drugs, or anti-TNF drugs, have been used successfully to help patients with rheumatoid arthritis, and have also been found to be helpful in patients with HCV, seeming to cause no additional harm to the liver or increase in viral load. Another drug used for treating rheumatoid arthritis, rituximab, is also being tested in patients with HCV. Home remedies can be helpful for non-arthritis joint pain, including using a heating pad or soaking in a warm bath. Gentle massage and stretching exercises might also help. MD Consult. Joint Pain Patient Fact Sheet. Elsevier, Inc. 2009. Sanzone AM, Begue RE. Hepatitis C and Arthritis: An Update. Infectious Disease Clinics of North America, 20 (2006) 877-889.